Update: it turns out that this alliance was actually established back in June 2011, and it includes 19 members. Several China-based display makers, including Visionox and Changhong have formed an OLED industry alliance in order to stay competitive with Korean, Taiwanese and Japanese OLED makers. It is reported that the Chinese makers think that OLED is the next-gen display technology and will become the standard for mobile devices in the future. Visionox is already working on AMOLED displays. Back in August 2011 Visionox officially launched their AMOLED project, which includes a 4.5-Gen production line which will start production in 2013. In November 2011 Visionox said they have successfully developed a 7.6" 800x480 AMOLED panel. 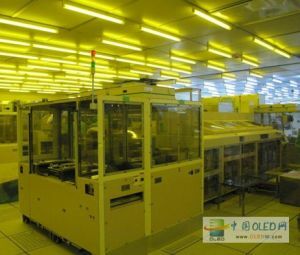 Visionox is also developing and producing OLED lighting panels. Changhong has been involved with OLEDs since 2007, and in 2009 its Sichaun CCO joint-venture (60%) began mass producing PMOLED panels in Chengdu. We're not sure which are the other companies in this new industry alliance. There are several Chinese based panel makers with active OLED programs, including Tianma, Irico group and BOE.